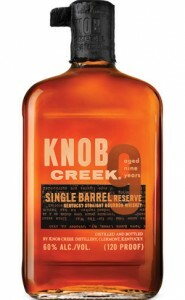 Knob Creek Single Barrel Reserve is a hand-selected higher proof offering of their flagship bourbon. This barrel (#464) was selected by Simon Taylor of Spec’s in Dallas and it’s #10 for this year on my advent list. I talked about this whiskey with Simon and that discussion convinced me to try his selection (I even had him sign it for me). There was another barrel selected by Spec’s that day and I may have to try that one as well, since Simon said that it was a close second for him (he described it as “caramel fruit salad”). Hold on a minute… I’m getting ahead of myself. I haven’t even poured the whiskey yet. Okay, it’s in the glass smelling grand! 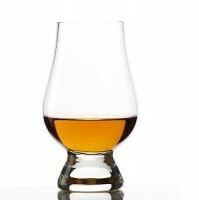 There’s straw, caramel and a good spicy burn with notes of vanilla, cherry, cocoa, black pepper and pear. The aroma is fairly bold without water. A bit of water tones down the burn and brings the pepper and other flavors into balance; however, I don’t notice any other flavors. The taste is hot and bold, with plenty of vanilla, cinnamon, honey, caramel, tobacco, lemon and apple. Adding a bit of water causes the peppery spice to mellow and persist into the finish. Additional notes of cherry, ginger and overripe pear arrive and the tobacco becomes more a hint of powdery cocoa. The finish persists very long with a good chewy feel and a spicy, woody flavor with just a hint of that cocoa I mentioned earlier. There’s a mild lemon sourness midway through that retreats about as quickly as it arrives – over a couple of seconds – and works well with the spices. This is a very good whiskey and one that I enjoy quite often. I don’t expect that it’ll last very long, so I’d best secure that other bottle before they disappear. 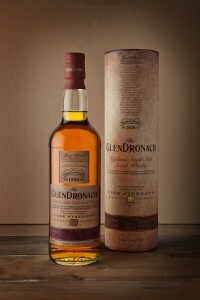 It offers a lot to keep your interest and is easy to drink without demanding too much attention. I recommend a splash of water with this one as well. Posted in Whiskey. Tagged Bourbon, Jim Beam, Single Barrel.